Brand new 2 bedroom villa on Batu Belig - a quiet and prime location. Designed in a modern and minimalist french style, Villa Victoria 9 sits at the end of the quiet and serene Watercress Lane, a 5 minute walk from the beach. 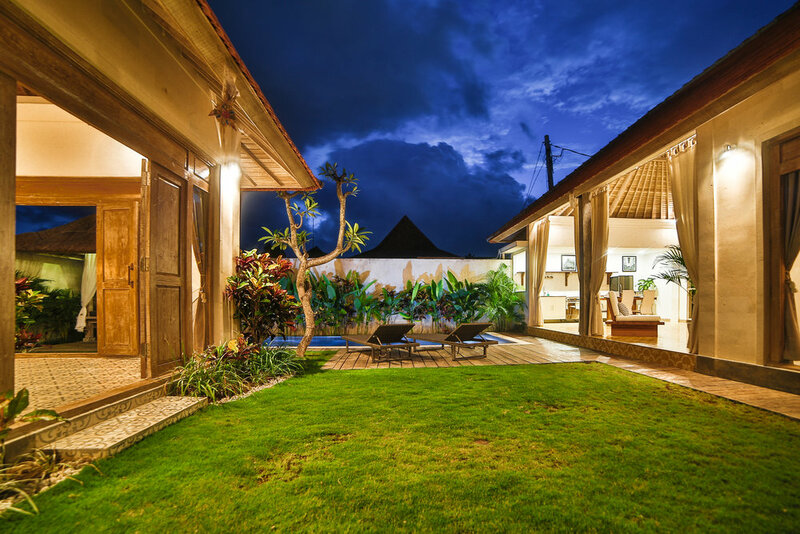 Just around the corner from the most popular hotspots in Bali such as Potato Head, the W, and La Laguna - Villa Victoria comes with your own personal villa manager who is readily available for any requirements throughout your stay making your trip luxuriously comfortable. Upon arrival, guests are greeted with a refreshing beverage and cold towel. A welcome booklet offers all the information necessary on making your trip to Bali as smooth and relaxing as possible. A large sparkling swimming pool sits alongside lush tropical gardens and overlooks the entire villa. Manicured grass separates the Master bedroom from the open-style lounge, perfect for the kids to run around on, or for watching the stars of the night sky.